This lovely 4 BD, 3.5 BA townhouse is located in the popular community of The Woods At Wayne, just 5 minutes from the train station, shops, movies, and restaurants in the charming village of Wayne. Recently repainted, this home features loads of custom millwork and neutral d cor, with plantation shutters, gleaming refinished wood floors, upgraded carpeting, white tile bathrooms, and a beautifully upgraded Kitchen with 42 neutral cabinets, island with breakfast bar seating, recently replaced stainless appliances, and gorgeous neutral toned granite counters. The floor plan offers popular open concept flow between Kitchen, Breakfast Room, Family Room, and Sun Room? which are all flooded with light from skylights and large windows. The double-sided fireplace provides a charming focal point to both the Family Room and the Dining Room, plus there is a 3rd fireplace downstairs. The finished, walk-out, daylight Lower Level is unusually nice for the neighborhood, with an add'l approx. 1,217 s.f. finished Rec Room with fireplace, closets, 3rd full ceramic tiled Bathroom, and a large unfinished Storage Room with add'l closet. Upstairs are two Hall Bedrooms, 2nd floor Laundry, Hall BA, and an expansive Master Suite with TWO closets (most units like this only have one), a sitting area, and a spacious Master BA with double vanity, large soaking tub and separate shower. This unit also has a finished 3rd floor which currently serves as the 4th Bedroom, but could also be an ideal location for a quiet, private Office. This level has two closets (one with the separately zoned HVAC system), one window, vaulted ceilings, and a skylight. A spacious rear deck (with direct gas hook-up for grill) offers ample space for outdoor relaxation. A new hot water heater, newer roof & skylights, security system, and an attached 1-car garage with utility sink complete this home. 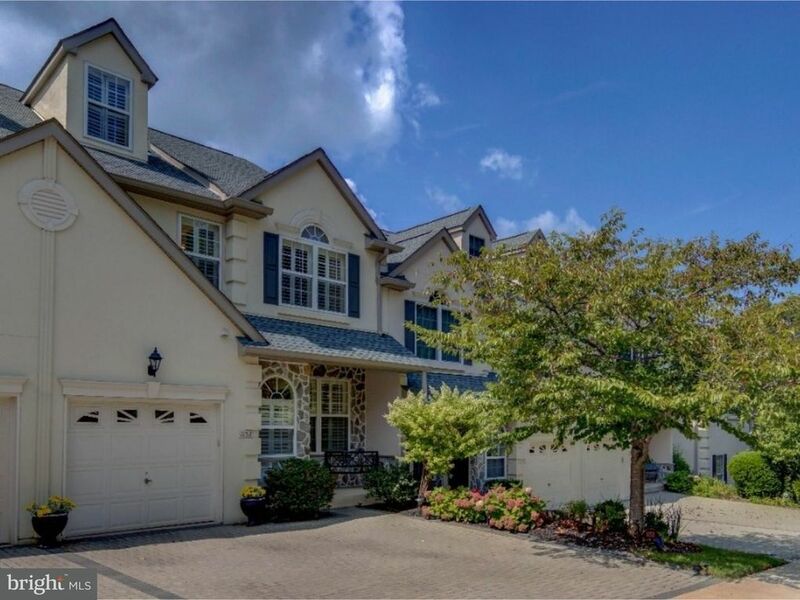 Very convenient to corporate centers, Center City, Airport, and transportation (Routes 476, 202, 422, and 76,) this neighborhood also features LOW Upper Merion taxes. Truly a move-in ready property ? schedule your visit today!